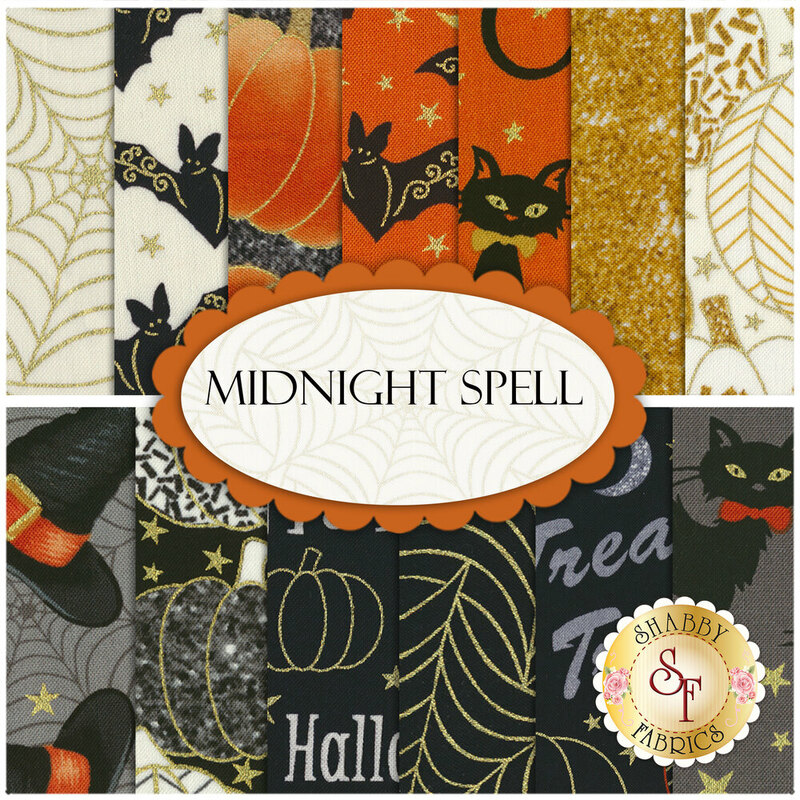 Midnight Spell is a metallic Halloween collection by First Blush Studio for Henry Glass Fabrics. 100% Cotton. 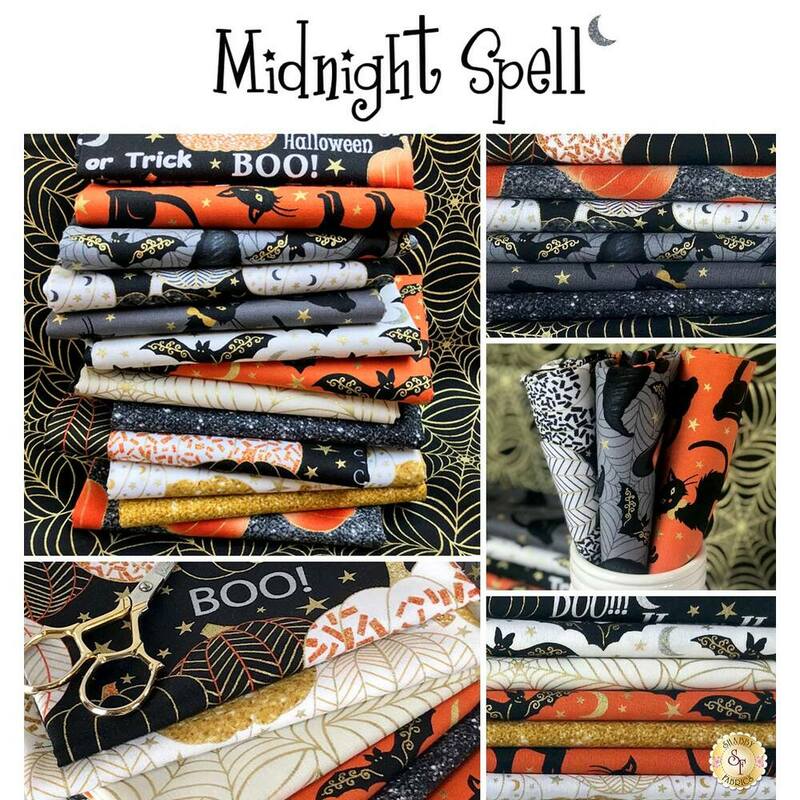 This set contains 13 fat quarters, each measuring approximately 18" x 21".